The prestigious Hill Times Newspaper in Ottawa quoted my blog and interviewed me about the recent CJPAC Action Party. Here is the link. 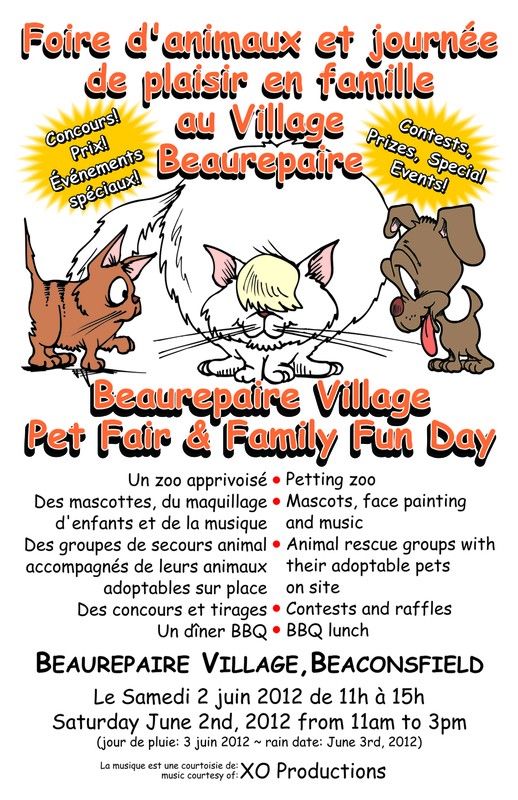 If you are a pet lover like me then I recommend you consider checking out the Bearepaire Village Pet Fair and Family Fun Day this Saturday (11 am to 3 p.m,) in Beaconsfield. Should Mother Nature rain on the parade, the event will be moved to Sunday. Hilarie Harubin, the owner of Boutique Woof! Meow! 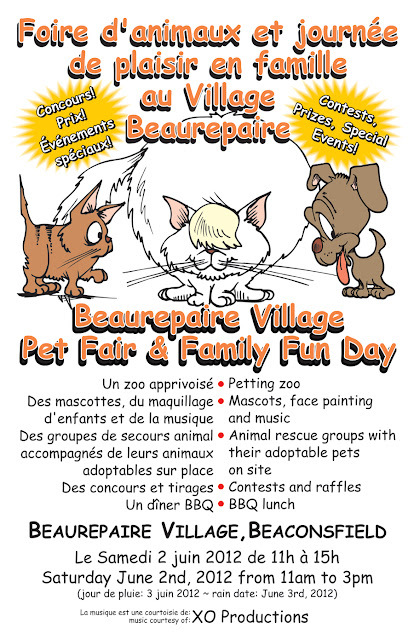 and director of the Beaurepaire Village Business Association, is behind this sixth annual event. “We had 4,000 people attend last year’s event and 55 animals were adopted on this one day alone,” she says. “ It was a great success and I expect both events this year to be just as successful. Twenty animal rescue organizations will be at this event with the perfect pet waiting for you. I believes that awareness of animal welfare is an important part of our community life as well as giving back to the community that supports local business. This event gives you the chance to either adopt a new pet or, if you already have your companion, gives you the chance to have your questions answered by the exhibitors on site. We have reps from dog training organizations, dog boarding facilities, pet food companies and groomers to answer your questions. We have the blessing of the pets, various dog contests, such as best pet trick, doggie musical chairs and the parade of adoptees which we call “Strut Your Stuff,” to amuse and entertain our visitors. Many village businesses will be participating as well, for example, Beauty Evolution will be hosting a human/canine fashion show, Homestyle/Blacklion Pub will be firing up the BBQ and the art galleries will be exhibiting animal themed works of art. Following three months of silence regarding his decision to leave the drive home show on Virgin Radio for the same slot over at rival 925 The Beat FM, Cousin Vinny Barrucco made his on air debut Monday afternoon. “I gave my notice at the end of February, but due to a non-compete clause I was not able to talk about the deal or even communicate about it via social media until now,” the happy go lucky 28 year old Dorval native and current St. Laurent resident told me. Here is my video interview with Vinny. 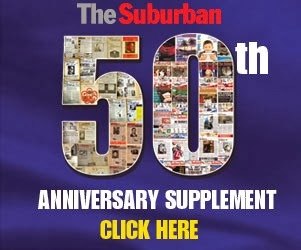 Please read my column in Wednesday's paper and a feature story in the Friday Suburban Magazine to learn more. The best kept secret in Montreal is finally out there. Cousin Vinny Barrucco joins 92.5 The Beat today, May 28, as their weekday drive home show host. He left Virgin Radio three months ago, but because of a non-compete clause he was not able to discuss the move until the day of his on air debut. Cousin Vinny joins fellow broadcasters Cat Spencer & Sarah Bartok (The Beat Breakfast), Donna Saker (The Beat of Your Workday), Paul Hayes (Heartbeats), Ken Connors (Weekend Breakfast), Anne Marie Withenshaw (All-Access Weekend), Nat Lauzon (Feel Good Weekends) as well as TB1 (Beatmix). Stay tuned to this space later for my interview with Vinny, his first since jumping to The Beat, and to this week's Suburban.